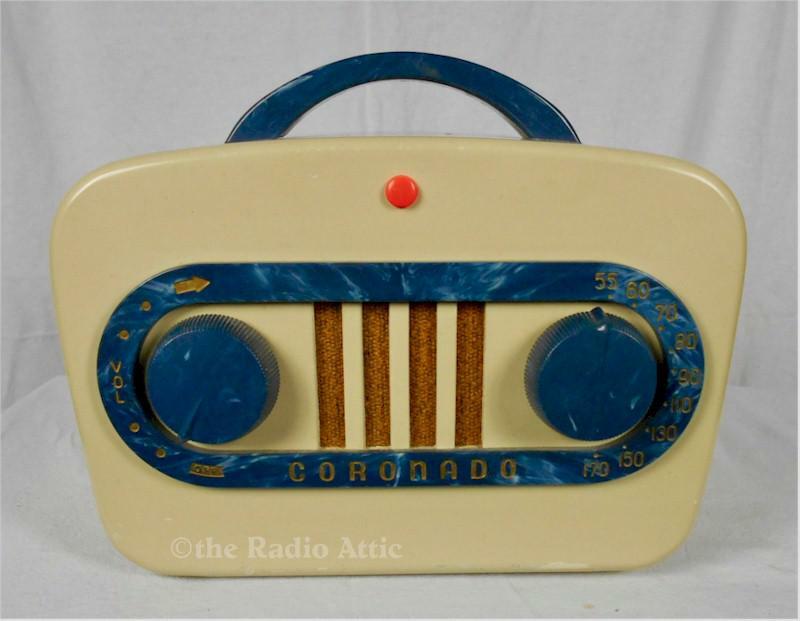 This radio was manufactured by Coronado for the Gamble-Skogmo department store chain. This is a really fine example of the "Racetrack" model, named for its oval dial. The cabinet is Bakelite painted white with blue plastic knob, dial and handle. Blake went through the radio, replacing all of the capacitors, checked the tubes and resistors replacing where needed. This five-tube, AM only radio works well across the dial, utilizing an internal "loop" antenna. The cabinet is in good condition, as are the original knobs and handle. 9"W x 7-1/2"H x 5-1/2"D.
You are visitor number 578 to this page.